Information on how to respond if you find yourself confronted by an active shooter at work, school, or in public. For more information, including transcripts, additional resources, and cast and crew information, please visit activeshooter.lasd.org. Information on the dangers of shining laser pointers at aircraft, including extended interviews with pilots and law enforcement. The Los Angeles Sheriff’s Department is a recognized leader in the field of law enforcement training, and creates video content to aid in its training mission. On this site, you will find both videos intended for the public, as well as video training intended for law enforcement use only. Law enforcement agencies from anywhere in the United States or abroad are welcome to view the content on this site for their own training purposes. To view law enforcement content, users must register for an account and be approved. 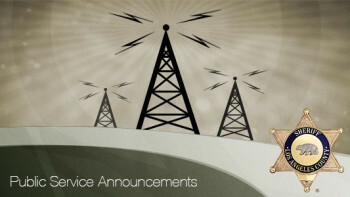 The Los Angeles Sheriff’s Department produces short- and long-form public service announcements designed to provide community members with information on a number of topics. These can include law enforcement-related best practices, or basic healthy and safety messages. 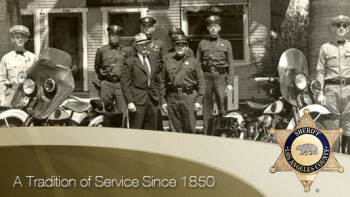 Law enforcement agencies around the world rely on training content from the Los Angeles Sheriff’s Department. 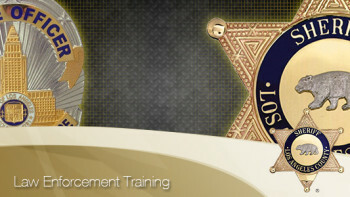 Law enforcement professionals can register to view current training content available on this site. This site features a selection of films and videos dating back to the 1930s that showcase Department training content and past messages for the public. Many of these give a unique insight into the evolution of police training or nostalgic glimpses into the past.